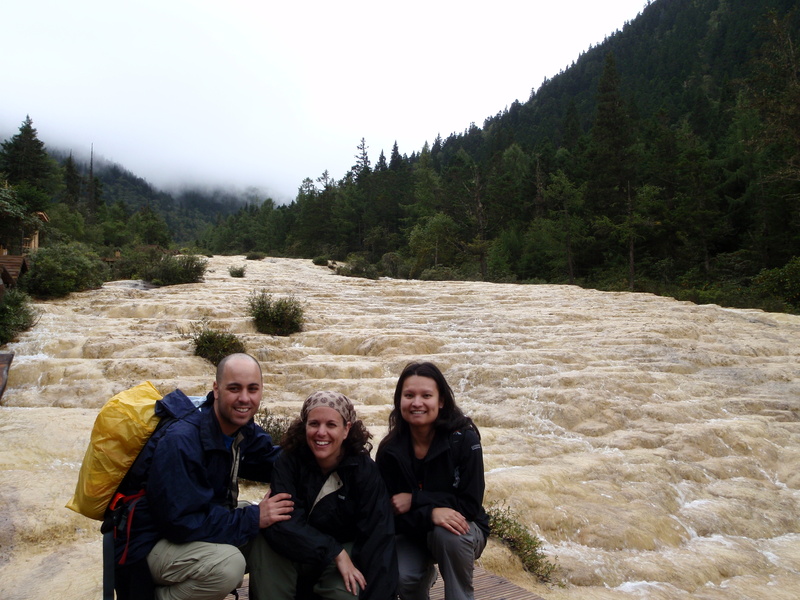 The first thing I did when I got to Jiuzhaigou valley was align myself to this lovely couple from Israel and follow them around like a third-wheel stalker. I knew then that these were my people. The next morning on the dot of 8am we make the 3 hour trip to Huanglong through the light rain, to the entry of the 3800 metre high scenic walk, along a well-built and positioned wooden path, to witness these amazing natural wonders – Connected lakes of all sizes high up in the mountains, with limestone borders that hold such a concentrated calcium content that the water is always clear from algae leaving only the most wonderous shades of blue. In 2 hours we endure thousands of steps and a high altitude, with each scenic stop competing in beauty with the next, until we finally reach the peak like step defeating champions, and are rewarded with the most magical display of colourful lakes so beautiful that it looked man-made! Or Alien! Either way it was out of this world!! Needless to say, the view turned me into a loved up snap happy tourist for 5 hours. 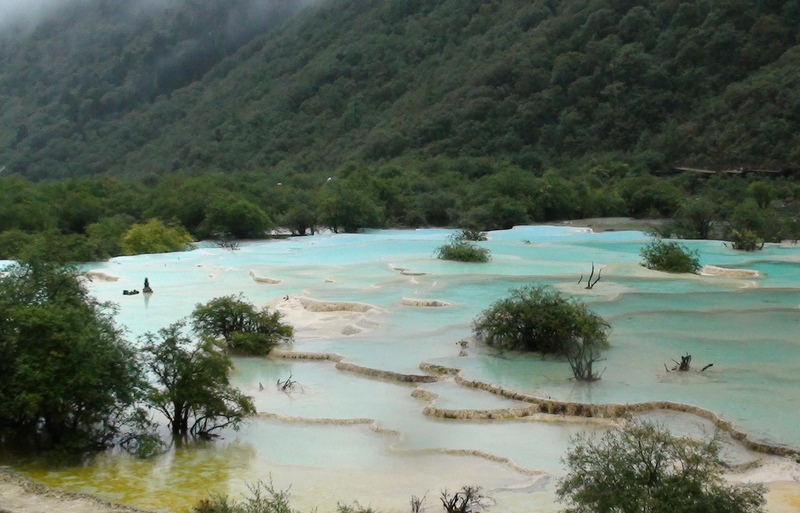 Anyone who visits China, must not miss out on the World heritage listed connected pools of Huanglong.